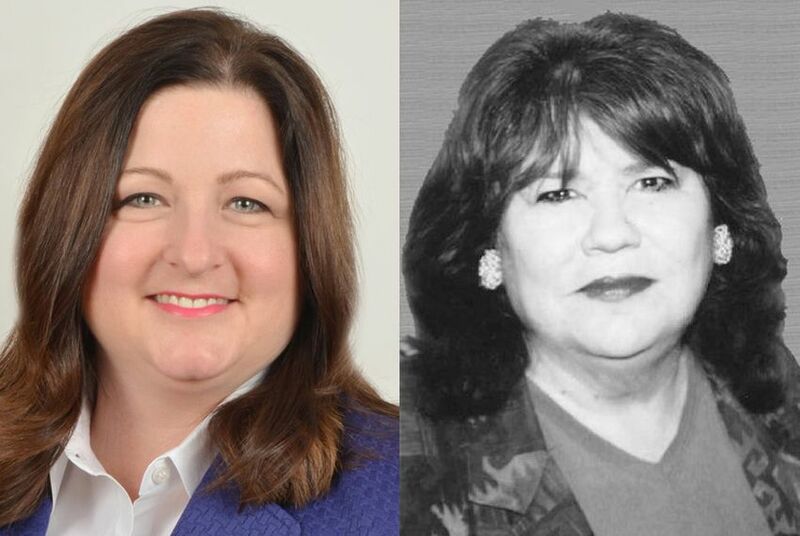 In the May 27 Democratic runoff for House District 105, two lawyers from Irving are contending for the chance to take on a former Republican former state legislator. Democratic candidates Susan Motley (l.) and Terry Meza, in a runoff for House District 105. As Democrats cling to hopes that a Dallas-area district will flip to their column, House District 105 candidates Susan Motley and Terry Meza are headed for a runoff election May 27 that will decide which of them will take on a former Republican lawmaker in November's general election. Both Motley and Meza are licensed attorneys who have worked in the nonprofit sector. Motley received 47 percent of the vote in the March 4 primary, and Meza received 28 percent. HD-105 encompasses Irving, north Grand Prairie and west Dallas. The Republican incumbent in that district, state Rep. Linda Harper-Brown, was defeated in the GOP primary by former state Rep. Rodney Anderson, R-Grand Prairie. While the two Democratic candidates have similar backgrounds, Motley said her experience serving in the community, including her appointments to the Irving Parks and Recreation Board and the Irving Advisory Committee on Disabilities, set her apart from her primary opponent. Meza did not respond to multiple interview requests. “One of the biggest differences between [Meza] and I is the level of commitment I’ve shown to this district,” she said. As an employment lawyer, Motley said, she considers equal pay a critical campaign issue. The federal Lilly Ledbetter Fair Pay Act, passed in 2009, allows women to sue their employers if they can prove discriminatory practices were used. Last year, the Texas House and Senate approved a state version of the law, House Bill 950, but Gov. Rick Perry vetoed the legislation. Motley said her other policy priorities include expanding women’s reproductive rights, improving public education and investing in the state’s infrastructure, including roads. On her website, Meza said she would focus on improving education, expanding access to health care and ensuring equal pay for equal work. Regardless of who wins the runoff, local Democrats said they planned to fight to ensure that their candidate wins in the November general election. The district has been represented by Harper-Brown since it was created by the Legislature in 2001. In 2008, Harper-Brown beat her Democratic opponent, Bob Romano, by just 19 votes. In 2012, she won by a wider margin, but Democrat Rosemary Robbins garnered 48 percent of the vote — a hopeful sign for the local party. Anderson, the Republican who will face off with the runoff winner, said he thinks it will be difficult for Democrats to retake the district. “When you look at the vote totals in the primaries, the enthusiasm was much more in the Republicans’ favor,” Anderson said. In the primary election, more than 6,500 Republican voters turned out, compared with fewer than 2,500 Democrats. But Jeff Rotkoff, Democratic consultant for the Texas Association of Consumer Lawyers PAC, which supports Motley, said Anderson was more conservative than Harper-Brown and that his far-right politics didn't align with the voters in the district. “I don’t think he’s running to be the state representative for all of the people of the district,” he said. Anderson disagreed, saying that he was "one of the most pragmatic legislators" in the House in 2011. "I'm a strong conservative, but I'm a very pragmatic conservative," he said. Correction: An earlier version of this story said Harper-Brown replaced Dale Tillery in the Legislature; in fact, she got his district number as a result of redistricting. Tillery served in a district in eastern Dallas County.